Pan & Mermelada located on the Golden Mile in Marbella is famous not only for cocktails and tapas, but also for breakfast and bakery. It is the local's choice for American-themed breakfast, lunch as well as coffee and cake. Pan & Mermelada offers cocktails and tapas EVERY NIGHT from 7.00pm. View the gallery from the launch event HERE! 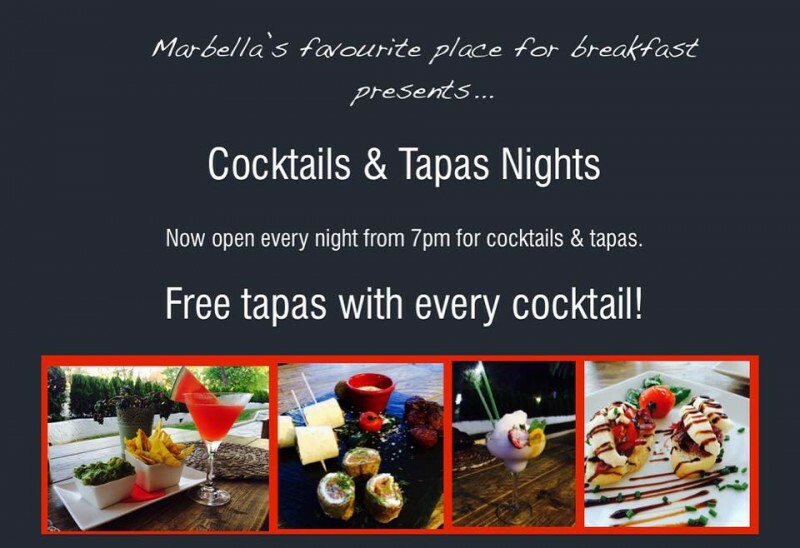 FREE tapas with every cocktail! 3. Listen to chillout music and relax! Please mind that Pan & Mermelada is open daily from 8.30am. Pan & Mermelada Famous Buttermilk Pancakes - Truly Amazing! Pan & Mermelada Has Opened a New Site in Nueva Andalucia! Pan & Mermelada Opened in Nueva Andalucia!